Emperor: Rise of the Middle Kingdom is a city building game that focuses on Ancient China and is a great change of pace from the popular modern and historical city builders (which mostly focus on Rome). 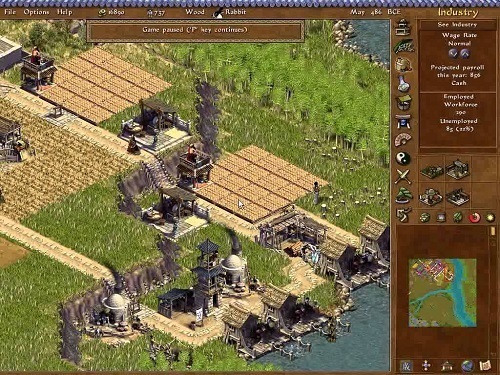 The game was released back in 2002 with development being fronted by BreakAway Games. The amount of control that you have over your Asian civilisation is extremely high and one of the best experiences of the game. Emperor: Rise of the Middle Kingdom will have you controlling every aspect including needs, taxes and even relationships with the ancestors and your neighbours. The game is split into missions with each mission involving the maintenance of your Chinese city. You’ll have plenty of tasks to take on in order to achieve your goal including maintaining your populations health, food reserves and keeping them away from harm. As you build up these goods and services into surplus your city will thrive and grow. Players are also put in charge of financial affairs in their city as well including trade and taxes which are key to expanding your empire. The final important aspect is the management of relationships. In Emperor: Rise of the Middle Kingdom not only do you have to manage your neighbours but you also have to manage your relationships with the ancestral heroes and gods. Ignore these heroes and they will send disasters to your city but make them happy and you can be rewarded handsomely. Emperor offers seven campaigns for players to experience than spam over 3000 historical years so there is definitely no shortage on content. As you move through the game you’ll take part in the building of many key monuments (such as the Great Wall of China) and recognise many historical figures (including Genghis Khan). If you love Chinese and eastern culture or are just looking for something different in a historical city builder you’ll enjoy what Emperor: Rise of the Middle Kingdom brings to the table. 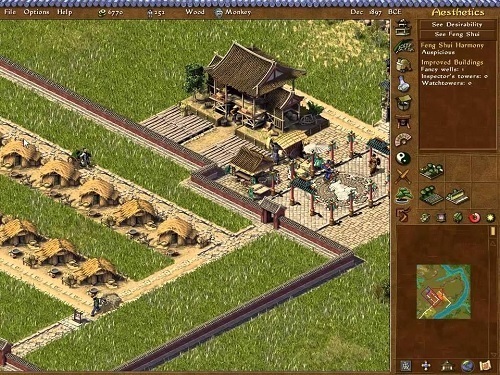 City building simulation set in ancient China. Manage the finances to expand your empire. Please the ancestral heroes for rewards. Plenty of control over civilisation aspects.